American officials say ISIS fired a shell containing mustard agent that landed at a based used by Amercan and Iraqi troops. 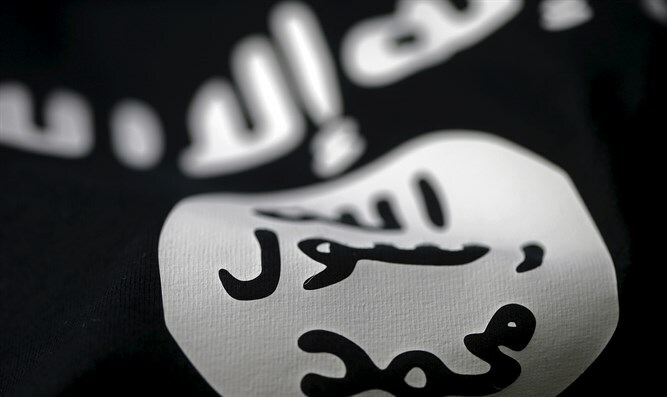 The Islamic State (ISIS) jihadist group is suspected of firing a shell containing mustard agent that landed at the Qayarrah air base in Iraq, where American and Iraqi troops are operating, several U.S. officials told CNN on Wednesday. The incident took place on Tuesday, according to the news network. The shell was categorized by officials as either a rocket or artillery shell. After it landed on the base, just south of Mosul, U.S. troops tested it and received an initial reading for a chemical agent they believe is mustard. No American troops were hurt or have displayed symptoms of exposure to mustard agent. One official said the agent had "low purity" and was "poorly weaponized." A second official called it "ineffective." A U.S. defense official told CNN troops had gone out to look at the ordnance after it landed. Based on seeing what they thought was a suspect substance, two field tests were conducted. U.S. troops involved in the incident went through decontamination showers as a precaution. No troops have shown any symptoms of exposure, such as skin blistering. There have already been several reported cases of ISIS using mustard agent in both Syria and Iraq. CIA chief John Brennan has warned that the jihadists have used chemical weapons and have the capability to make small quantities of chlorine and mustard gas. The officials who spoke to CNN Wednesday said they "had expected" that ISIS might try to use chemical weapons as U.S. and Iraqi forces push towards Mosul in an effort to take the city back from ISIS. Several hundred U.S. troops are using the base as a staging area for supporting Iraqi forces. The American officials told CNN that mustard agent is relatively easy to produce, and they continue to hit suspected manufacturing sites when they find them. U.S. troops are routinely outfitted with protective gear in the event of a chemical weapons attack. In June of 2014, ISIS seized a weapons complex thought to have held hundreds of tons of lethal sarin and mustard gasses: the al-Muthanna complex, located 60 miles north of Baghdad, which was a central base of former Iraqi dictator Saddam Hussein's chemical weapons program. There has also been some speculation that ISIS got its hands on chemical stockpiles that belonged to former Libyan dictator Muammar Qaddafi.